The following page has not been updated since May 2018. The content may no longer be up to date. Summer is here and it offers plenty of time for our students to keep learning and explore what Las Vegas and the outdoors have to offer. Below are some resources for parents and students to help them make the most out of their summer. Don’t forget to register (pdf) for the 2018-2019 school year. Families with currently enrolled students can complete registration using Parent Portal via Infinite Campus (campusportal.ccsd.net). Families new to CCSD may begin their registration process online via register.ccsd.net. Parents should note that the 2018-19 school year will begin on Aug. 13, 2018. 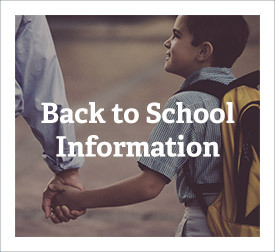 Parents or guardians who already have an Infinite Campus account will see an announcement through the Parent Portal and a link connecting them to the 2018-19 registration page. 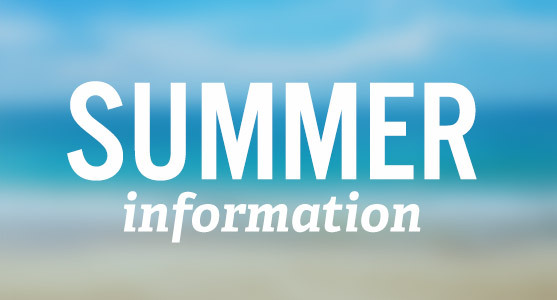 Also available are online summer classes (pdf) through Nevada Learning Academy at CCSD. CCSD no longer has year-round schools. All schools are on a nine-month calendar. 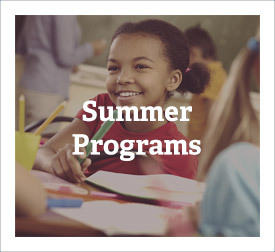 However, the ZOOM School Summer Academy provides 15 additional days at the end of the school year to students who were registered at a nine-month ZOOM School. The curriculum for these days is designed by expert teachers within CCSD, and is centered on themes that make ZOOM Summer Academy (or, at the secondary level, Zoom University) an exciting, educational and memorable experience for the students. ZOOM University at Global Community High School is credit bearing, thus setting students up for success in the coming year and helping them to get on track or stay on track for graduation. Each year, the U.S. Department of Agriculture partners with local organizations like the Clark County School District to provide free meals to students when school is out for the summer. Any student under the age of 18 may eat at hosted sites at no cost to the family. Here is a list of sites that will be providing lunches during the summer. If there are questions about specific sites, please call the number of the site. For more information about the national summer food service program, visit USDA Food and Nutrition Service. FACES has compiled a list of summer resources that offer a wide variety of free classes and events. The page includes links to library events, recreation centers, summer camps, at-home activities and more. Neon to Nature is an online tool that will help you find walking and bicycle trails throughout southern Nevada. Each trail listing includes trail information and photos, along with detailed map descriptions of the trail’s location, length, and various amenities. The service is also available as an app for an Android or Apple device. The Boys & Girls Clubs of Southern Nevada is offering summer camp programs, packed with exciting activities and adventures. Contact a local Club for pricing and hours. YMCA of Southern Nevada will be hosting the Y Summer Camp from May 29 through August 10. Vegas PBS Ready To Learn offers family engagement workshops in schools and other locations throughout the community. Law enforcement and fire inspectors will be fanning out across the Las Vegas Valley this summer to crack down on the use of illegal fireworks. Those caught will face fines of up to $1,000 (and six months in jail) and disposal fees may apply. Fireworks were responsible for an estimated 11,100 injuries treated in U.S. hospitals in 2016, the most recent year statistics were available. Children younger than 15 years of age make up almost one-third of the injuries. Click here for more information on the “You Light It, We Write It”campaign. Saturday, July 21, at Downtown Summerlin, 10 a.m. – 4 p.m.
Saturday, July 28, at The Boulevard, 10 a.m. – 4 p.m.
Saturday, Aug. 4, at the Meadows Mall, 10 a.m. – 4 p.m.
Saturday, Aug. 11, at the Galleria at Sunset, 10 a.m. – 4 p.m.
Back to School Fairs provide parents and guardians with information about registration, Infinite Campus, Food Service, Academic Unit, Transportation, Police Services, and Demographics & Zoning. Immunizations will be available. The 2018 summer commencement will be Aug. 7, 2018, 1:30 p.m. at the Orleans Arena, 4500 W. Tropicana Ave., Las Vegas. Doors open at 12:30 p.m., and tickets are not necessary.